on Maryland and Howard County Ag! Industrial Mulch Trilogy - Yes, they are trying AGAIN! Councilman Fox and Councilmember Sigaty introduced ZRA 183 to the Planning Board for approval once again which was rubber stamped without any consideration of the health effects! Now, the County Council once again has a Council Bill (CB 21-2018) before them to allow industrial mulch and compost for COMMERCIAL sale and many more LARGE trucks on our rural roads. These "farms" will successfully ruin our groundwater and contaminate our air! Our quality of life will diminish and so will our property values! Our children will get sick and be at risk of danger on their bikes, walking to the school bus and our joggers and cyclists will be in the same danger from 1000s of trucks each year up and down our windy, narrow rural roads! All these "farmers" have to do is have a nursery and then they can make and truck out for sale commercial compost. This will also allow them to truck in animal mortality waste and food waste to make the compost. Our beautiful Farmland Forever landscapes and true farming fields will turn into industrial dump sites! Our water will be contaminated for years to come! Say NO to this third attempt to pass a Mulch Bill in Howard County that allows this! Where is County Executive Kittleman? He is not sponsoring so far this third attempt to pass mulch legislation. But he's also not coming out publicly against it! Will he veto it if it passes this spring?? Write him! Currently this ZRA 183 is before the Planning Board of the Dept of Planning and Zoning and they are in worksession now on this. They vote February 1st whether to allow it to move forward or not. WORST PART is that the Planning Board would not allow written testimony to be submitted even through expert and oncologist of Johns Hopkins Dr Velculescu could not attend in person during the public testimony. Plenty of folks testified about the health and safety concerns and even Councilmembers Fox and Sigaty didn't present any evidence showing that these future operations would be safe because they can't. There is no evidence! It is NOT safe! If this goes forward, Howard County is at risk of many lawsuits when folks get injured, killed and sick. It's only a matter of time because this is inevitable! The bill expired so the below vote was invalid! Vote was 3-2 with Sigaty and Fox (cosponsors of the bill) and Councilmember and Chair, Jon Weinstein, voting to approve the bill without DRPS amendments that would have made the bill safer for Howard County. We will remember Weinstein's vote on this crucial piece of legislation in the 2018 elections and County Executive Kittleman's approval of CB 60 as he runs for reelection and many of us put him ahead of Courtney Watson for his strong stance on this issue in 2014. Not again! Monday Night - Results of the Vote that should never have been held on a bill that expired! Council Bill 60 PASSED 3-2. Amendments to safeguard us did NOT pass. Council members Sigaty and Fox who cosponsored the bill CB60 voted to pass this irresponsible piece of legislation with the vote of the newest councilmember, Chair Jon Weinstein who barely beat Lisa Markovitz in the 2014 election. Lisa was against this bill. Elections matter. And we will be reminding voters of the consequences in the 2018 election. Allan H Kittleman also approved this bill. He is also up for reelection. Those who serve our county but ignore the health and safety concerns of medical experts and the lawsuits that were filed in other states after the air and groundwater were contaminated harming residents near mulch and compost facilities will bring years of harm and we will all pay for it. DPZ has shown they fail to enforce the law and size restrictions. This will open the door to businesses moving to farms with simple farming activity requirements to mask their operation as farming. We won't give up this fight! Please continue to take video, photos and document violations of this law. There are some restrictions (not nearly enough) and we must remain vigilant. Write them today! CouncilMail@howardcountymd.gov which goes to all 5 councilmembers! Also, write your County Executive, Allan Kittleman, akittleman@howardcountymd.gov and let him know your thoughts. We must act now! Vote expected Monday, November 6th!! Recipe for Disaster - What CB 60-2017 will do! Bob Orndorff owner of the Muth/Brown Dayton farm and owner of RLO Contractors (trucks in photo below). - What will he do with these piles? We were told by the Howard County Council just today (Sept 25th) that these piles will eventually be spread across the site at 32. - How long will they sit there? What danger are they causing to the homes sitting right behind them and to their well water? - How will the passage of CB 60 affect the future of Howard County? - Will CB 60 allow any leftover mulch from these mulch piles and other projects by RLO to be delivered to Green Bridge and Howard Road farm Mr. Orndorff now owns? - Will he successfully move his industrial business to Dayton as he originally proposed in 2014? 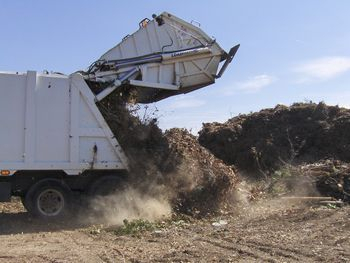 We are proud to represent our Howard County, Maryland community in preventing industrial mulch and compost businesses from moving onto or operating on Agricultural Preservation farmland. Spring of 2014, we had a glorious victory with Council Bill 20-2014. 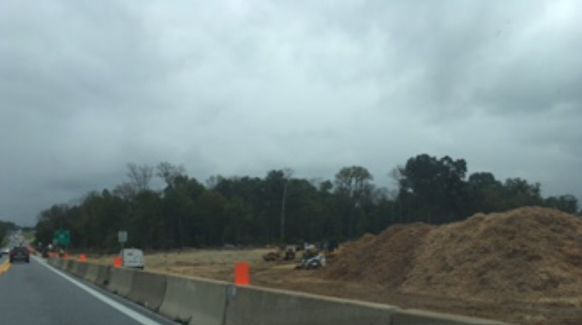 Fall of 2014, we were able to ensure an illegally operating mulch and compost business on Maryland Ag Preserve farmland was shut down. Now, we face a new wave of push back from the industrial mulch businesses and their supporters. We just wrapped up the Mulch Task Force and our community report is ready for review complete with evidence supporting why industrial mulch/compost does not belong on Ag Preserve farmland in our rural communities but rather in industrial zoned areas of Maryland. in all of Howard County! Council Bill 20's intent was to shut down the Woodbine industrial mulch facility on State Ag Preserve farmland and prevent future industrial mulch facilities in Dayton, Sykesville and any Howard County ag preserve land. Task Force created in June 2014 was to tweak necessary language in Council Bill 20 that would ensure true farming operations remain supported. Now there is ZRA 180 or CB60 as it is now called. We must not allow CB60 to pass as it is. It must have MAJOR amendments in order to pass! We need you the community to rise up again and voice your concerns for safety, health and contamination of our water supply, etc... by the industrial process of mulching and composting. 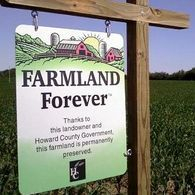 Our supporters include farmers and residents in Howard County and beyond. Our farmers only want the ability to mulch/compost made from their farm and used on their farm. Trucking in and out waste for resale is a business and belongs only in the State of Maryland's industrial zoned properties M1/M2 and NOT on farmland in Howard County owned by the county or owned by the state! 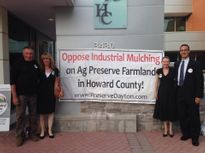 Agricultural Preservation in HoCo is at risk! 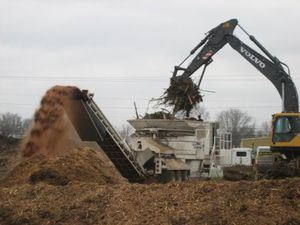 Robert Orndorff/RLO Contractors petitioned to move 16 acres of industrial mulching and composting of off-site materials from Route 1 to Dayton Ag Preserve farmland risking our safety, health, environment, house values, and quality of life as rural residents. This effort was stopped by the passing of CB 20-2014 in June 2014. However, Mr. Orndorff purchased the Muth farm in February 2014 for this purpose and we will watch any attempt to use that property for anything other than true farming operations. 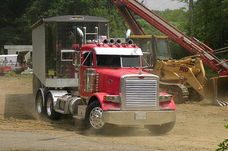 Woodbine: An illegally operating mulch grinding facility on State Ag Preserve was shut down by HoCo DPZ after being in violation of MDE's requirement to have an NWWR license to operate such a facility and for seven years illegally operating on Ag Preserve farmland instead of M1 or M2 zoned properties. We have stayed on these issues and CB 60-2017 is attempting to undo the efforts of CB-20-2014! We won't let this happen and we will preserve Dayton and surrounding farmland communities in Howard County, Maryland. - up to 50 large semi and commercial trucks on our rural roads per day? - to jeopardize the safety of our school children, runners, cyclists? - groundwater and air contamination threatening your family's health? - overbearing odor for miles reaching your property and the school yard? - mulch-grinder, back-up vehicle beepers and "Jake Brake" truck noises? - large industries moving onto our local farms? If not, we urge you to join our efforts! We must protect Howard County farmland and make MAJOR amendments to the currently proposed CB 60-2017. Bob Orndorff still owns the Dayton farm! Knock on Doors ~ Post Flyers ~ Volunteer your Time and Talent!! 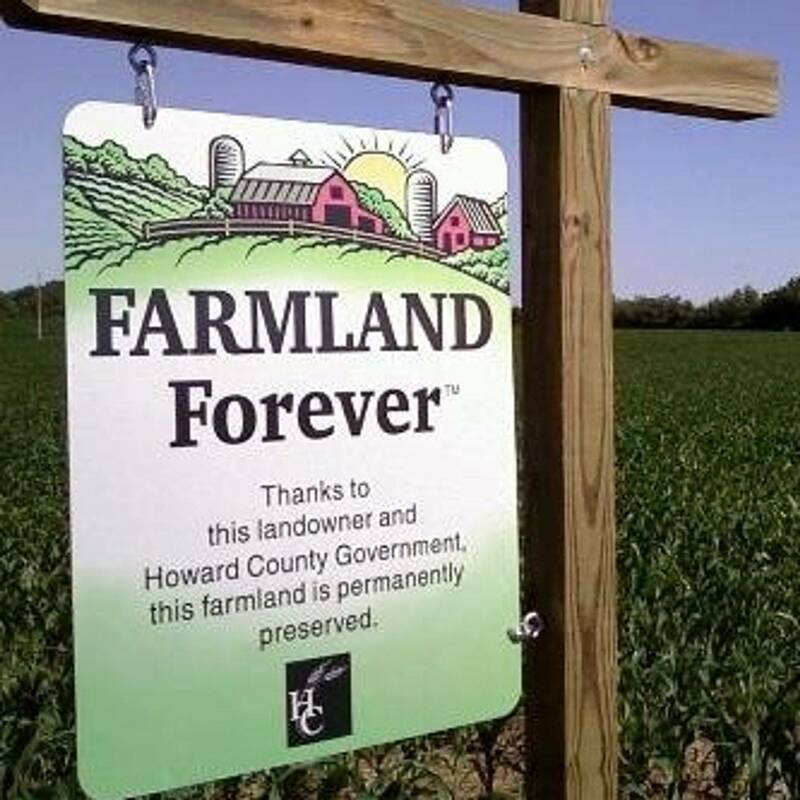 Howard County has added to over 21,000 acres of permanently preserved farmland in Howard County's Rural West. Please hold County Executive Kittleman to his promise! Tonight CB 21 was Tabled by the HoCo Council - May 7th. What happened to Mulch Bill Round 2? Confirmation - CB 60 is DEAD. The Howard County Council had 125 days to vote on bill and failed to do so before November 5th. Missing this deadline means the bill is dead and the Monday night vote is invalid! Office of Law. Bill Expired Sunday, November 5th! Get updates, cause for concern and call to action. Working to change zoning laws and preserve the rural nature of Dayton, Maryland and those farms in agricultural preserve. or PAY ONLINE by clicking on the Donate button below.